Ahhh! The Danube. Blue, flowing waters; gentle breezes; sweet, mellow music wafting from the hills. What could be more inviting on a warm summer day? day against a backdrop of rolling farmland, hilltop castles, bike paths and soaring cathedrals. 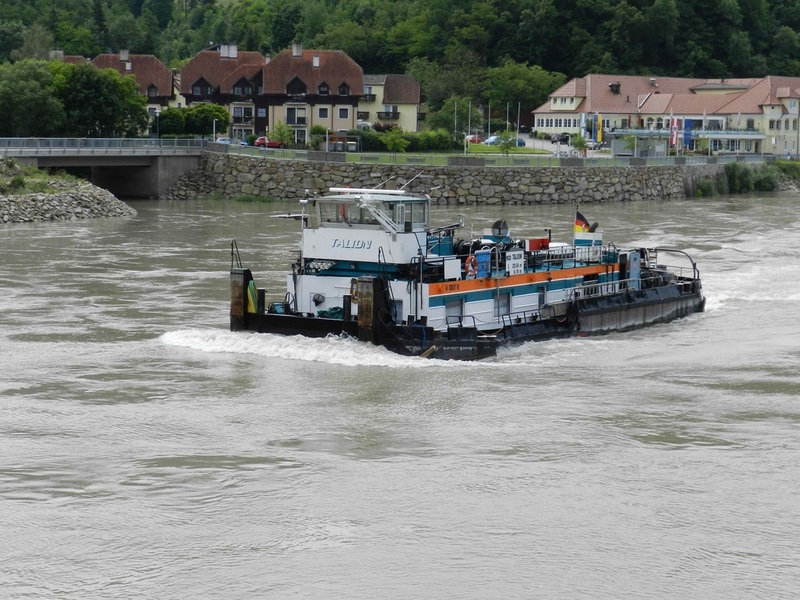 But watching the waterway traffic just makes cruising the Danube that much more fun. 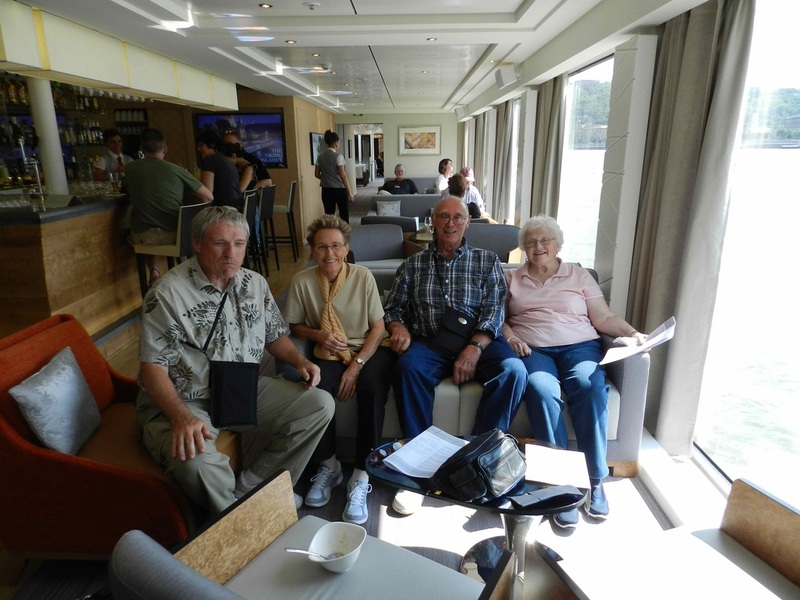 Four of us—Wanda and Lew (my sister and brother-in-law), traveling companion Bob and I—flew into Budapest where we boarded the Freya on a balmy June afternoon for an eight-day cruise. Into each life, a little rain . . . and all that. On this trip, Bob was the unlucky actor in a lost luggage saga. Happily, his bag showed up sometime during our first night aboard; but meanwhile, having discovered that bright red polo shirts like those worn by many of the crew were available for purchase, he bought one. The inevitable followed; he spent much of the evening fending off questions by fellow passengers who mistook him for someone who had answers. Soon, however, we settled in to our floating home, one of the newest longboats in the Viking fleet with 184 passengers and an attentive crew of 53. There’s often something magical about the first hours in a place you’ve never been, and the highlight of that day for me was standing on the upper deck of the Freya, docked in the heart of Budapest, and drinking in the glow of the lights on the Chain Bridge and the city beyond. 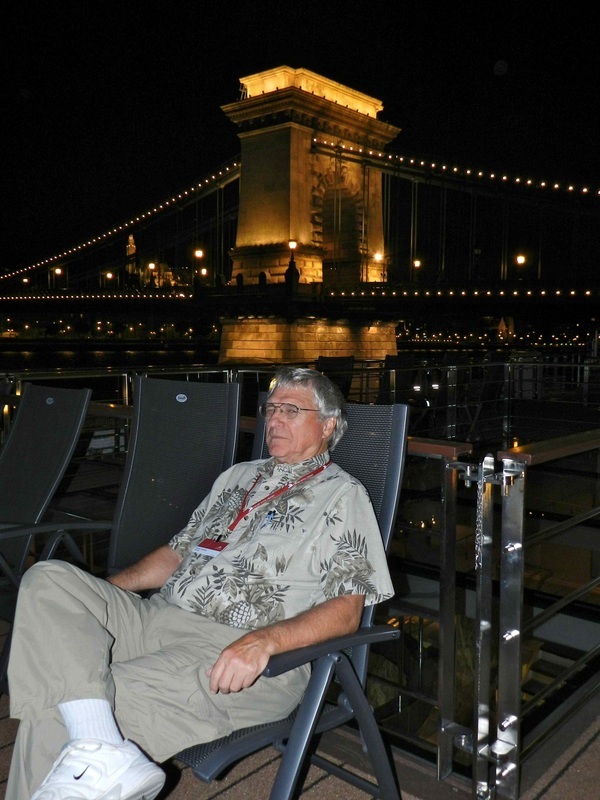 Bob relaxes on the top deck of the Freya as he awaits the arrival of his luggage, the Chain Bridge of Budapest in the background. As in any pre-arranged, pre-scheduled, hit-the-highlights tour, our time in each city was limited, and we spent just a day in Budapest, but one sight that day left an indelible impression: the memorial to holocaust victims called Shoes on the Danube Promenade. Sixty pairs of shoes, iron reproductions of those typically worn in the forties, line the riverbank. A mute reminder of the suffering of so many during the Nazi era, the shoes commemorate victims forced to remove their shoes, valuable goods at the time, before being shot, their bodies falling into the river to be washed away. As I have on other travels, I once more acknowledged my great good fortune as I struggled to imagine the terror of another time in the now-peaceful place where I stood. 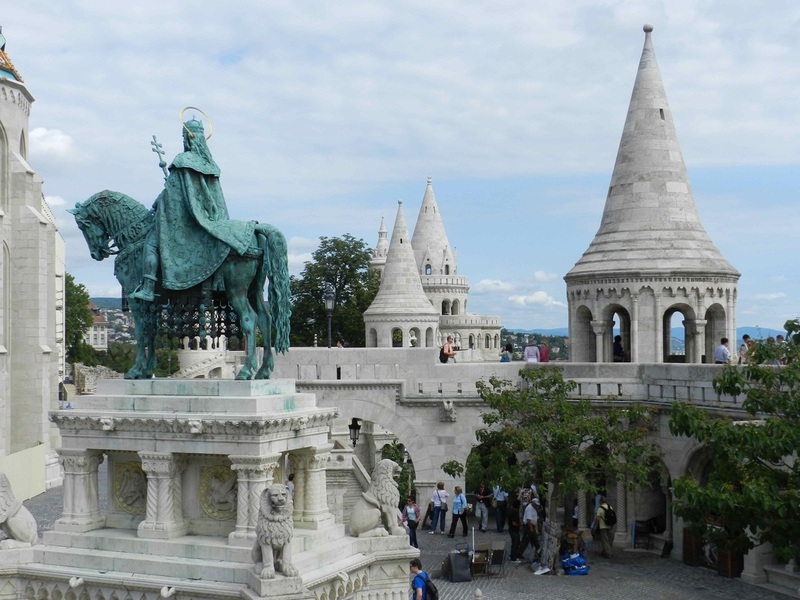 As we toured the city, we learned, in fact, that Hungary has been a contested region throughout much of history, and Wanda and Lew remembered vividly how they were personally impacted during one of its troubled times. As a young couple enroute to India in a Peace Corps-like program of the American Friends Service Committee (AFSC), they had been delayed in Vienna as they awaited their Indian visas and soon found themselves working temporarily in the emergency relief project the AFSC had hastily undertaken to help the Hungarian people during the uprising in the mid-1950’s. Though unable to enter Hungary and removed from the violence, this (their first visit to the country) held special meaning to them. The Danube cuts through the heart of Budapest, with the Old City on the Buda Hills on one side and the more modern Pest (pronounced “Pescht”) on the other. On our only full day there, we were able to visit only a couple of historical highlights—the Buda Castle dating back to the 1400’s in Buda and, across the river, Heroes’ Square built in 1896 to commemorate the 1,000th (!) anniversary of Hungary’s founding. 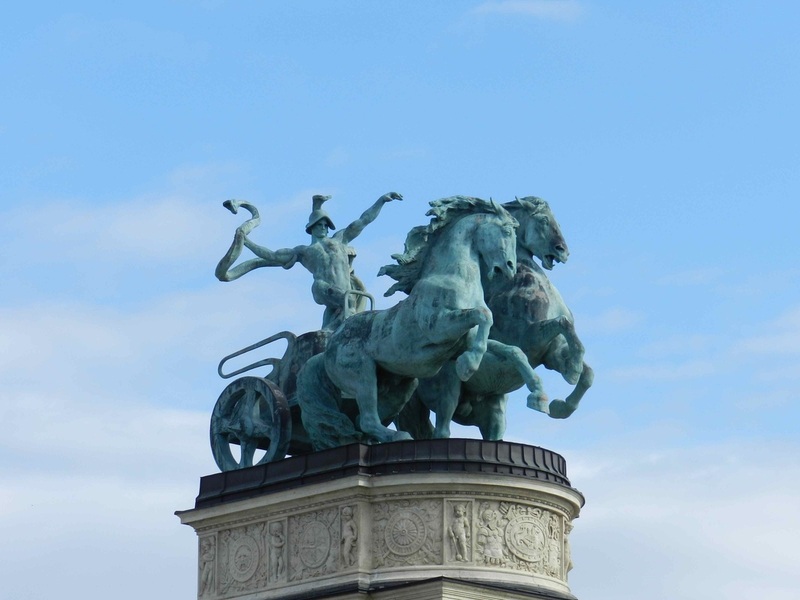 There, the stately Millennium Monument is flanked by statues of outstanding figures of Hungarian history. After just a day in Budapest (some travelers had wisely come early to take in more of the city on their own), we were under way that evening soon after boarding the Freya. At dinner, we were introduced to unfamiliar cuisine. Sweet sauerkraut soup? Suprisingly delicious. We never went hungry. A little more about the boat: Nearly new, it boasted a feature I’d never seen before on land or sea—bathrooms enclosed by heavily frosted glass providing complete privacy but which, with the flick of a switch, became totally transparent. Not quite sure what the point was, but it was . . . different. The top deck offered another curious arrangement: The pilot house was on a hydraulic lift which allowed it to be easily raised and lowered. We briefly wondered why, but the purpose soon became clear. Only by lowering the control room to a level that barely allowed the pilot see the river ahead was the vessel able to pass under the many low, ancient bridges that span the river. Unfortunately for those of us who enjoyed taking in sun and scenes from the deck chairs atop, this meant the deck was occasionally closed for several hours as we approached the problem spans. It took the crew several hours to take down railings, deck chairs, and tables—and then to put them up again once the bridge was behind us. Cruising towards Vienna, we awakened in the morning to a grand panorama: castles, large estates, lush green fields, and forests. We drank in the view as we breakfasted in the many-windowed dining room before disembarking for a too-brief tour of Vienna and a walk through the Hofburg Palace complex where some of the most powerful people in Europe once lived. 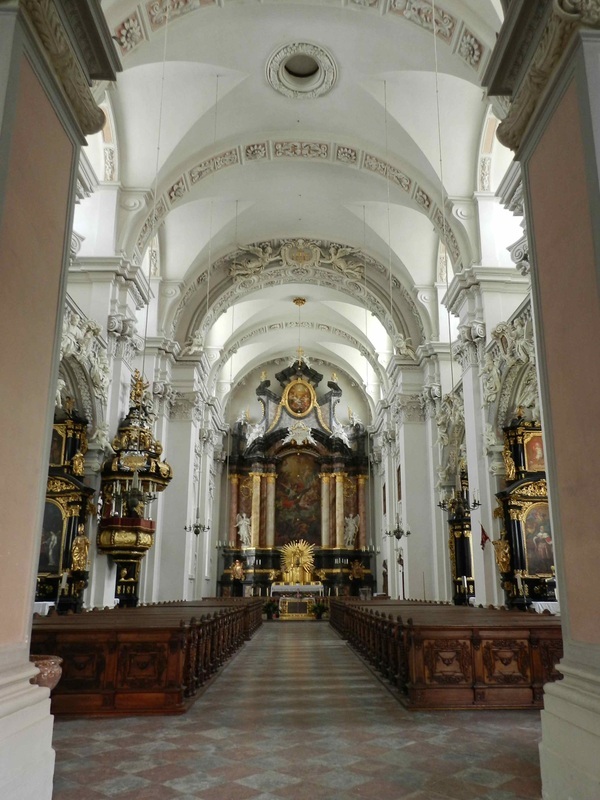 Our next stop was the Cathedral of St. Stephan, built over a period of 250 years beginning in 1263. Heavily damaged during World War II, parts of the cathedral are still being reconstructed more than half a century later. A buffet was open when we arrived on the Freya, and we relaxed and snacked in the lounge. We relax on the top deck. The hydraulically controlled pilot house is visible in the background. That evening brought a special treat for us music lovers—a concert featuring the music of Mozart and Strauss in the very palace where Mozart had composed many of his masterpieces. 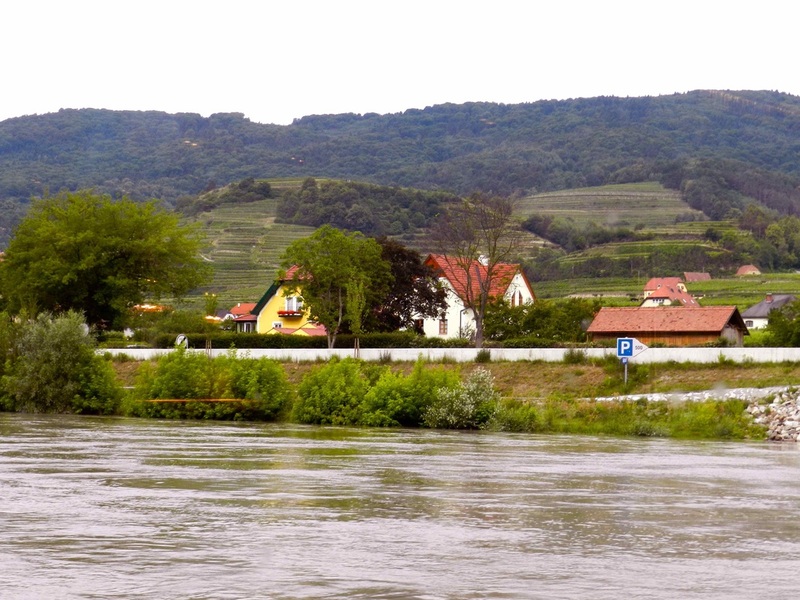 Leaving Vienna, we cruised through the Wachau Valley, Austria’s premier wine country, enroute to Melk, a small town dominated by the golden hued Benedictine Abbey that sits atop a hill overlooking the town of 5,000 souls. 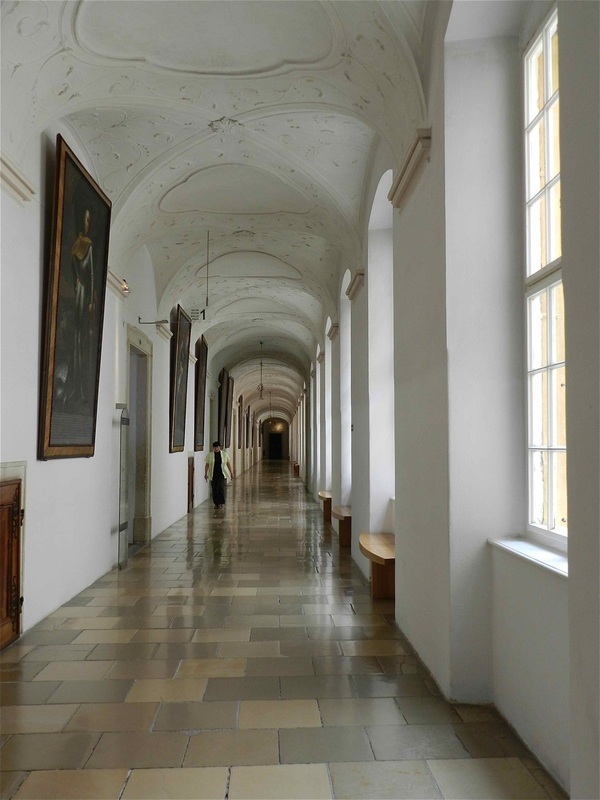 Home to Benedictine monks for more than 900 years and the repository of a large collection of medieval manuscripts, the stately abbey, in spite of its enormity, is an inviting space of arched hallways, immaculately maintained public rooms, and soothing gardens. We happened to be there in mid-afternoon and soon were surprised to see groups of children streaming through the courtyard. That’s when we learned that the abbey, in addition to its other functions, now houses a school. So refreshing to see in this amazing structure the past so elegantly honored while the air is so alive with the chatter of 21st century children. 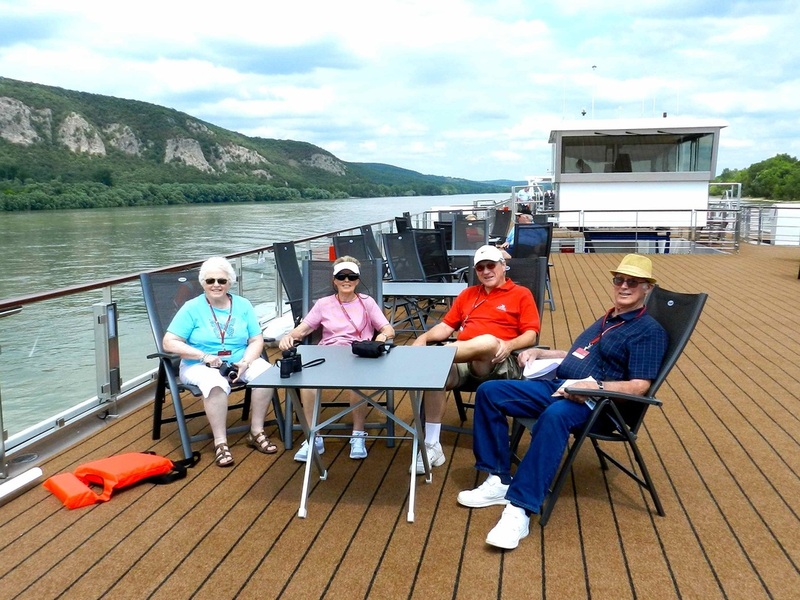 From Melk, we cruised to Passau, Germany, which sits at the confluence of three rivers—the Danube, the Inn, and the Ilz. Here, residents are permitted to operate businesses on the ground floor of buildings, but all living quarters must be on the upper floors—a regulation instituted because of periodic flooding. Many buildings, in fact, sport “high water” notations which indicate the levels floods have reached in the past. Passau is the home of St. Stephan’s Cathedral. (There seem to be a lot of St. Stephan’s—spelled, as you might have noticed, in a couple of different ways—in that part of the world). The Passau St. Stephan’s is the home of the largest pipe organ in Europe and we had hoped to hear the daily concert, but the day we were there was a holiday and the concert had been cancelled to make way for other observations. Instead, we enjoyed watching the townspeople in holiday mode, a couple of wedding parties in open cars enlivening the festivities. Passau’s other claim to fame is of a different ilk. Hitler lived there for two years (1892-94) as a boy. 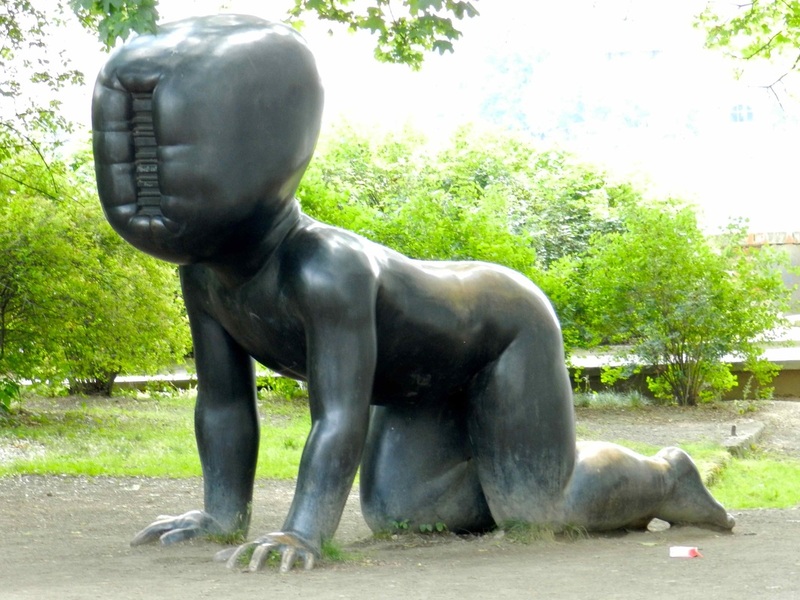 Legend has it that he nearly drowned in one of the three rivers but was saved by a passerby. . . .Yes. One can only wonder. What if? After a leisurely lunch at a sidewalk café, we walked back to the boat, sharing the riverside path with local bicyclists out for an afternoon ride. Among those active people, we noticed a remarkably consistent characteristic: no obesity. Hmmm! 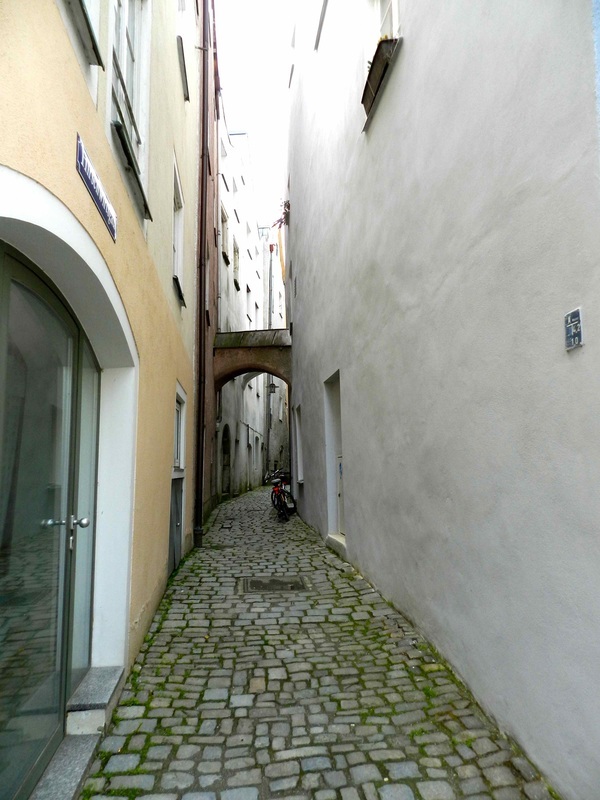 Our next stop was Regensberg, one of Germany’s best-preserved medieval cities. Highlights included the Stone Bridge, built in the 1200’s and still carrying traffic today, and the modest building where Oskar Schindler, who saved the lies of many Jews during World War II and who has been immortalized in the film Schindler’s List, lived for five years after the war. Once again, history haunted: throughout Regensberg, we saw many brass blocks embedded in the streets, each bearing the name of a Jew who had died in the Holocaust. Leaving Regensberg by bus, we visited nearby Weltenburg Abbey, founded at the beginning of the 7th century and still in use today. In 1050, the monks started a brewery and beer has been produced there ever since. With a storm whipping up outside, we paused in a large dining hall where we were treated to beer and tasty pretzels with mustard dip. Unable to delay our departure any longer, we eventually took a brief walk in the downpour to a dock where a small excursion boat awaited to take us to Kelheim to meet the Freya. 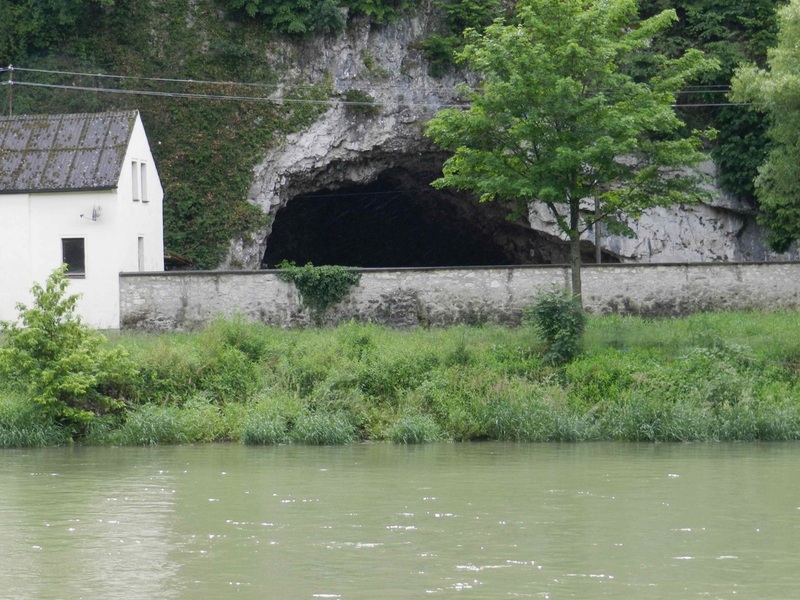 The latter being too large to navigate the narrow gorge through which the Danube flows in that area, the Freya had made that portion of the journey via a man-made canal. 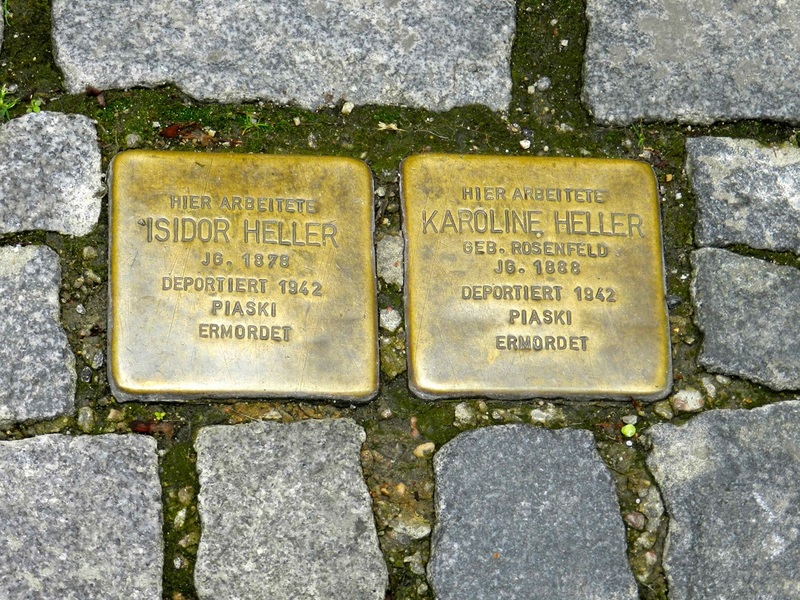 Brass blocks bearing the names of two Holocaust victims are embedded in a street in Regensberg. problem. Nevertheless, the traditional Captain’s Farewell Reception and Dinner went on as planned, though the captain excused himself early to oversee the repairs, and during the night we cruised towards our destination. The next morning, we took buses into Nuremberg, probably best known in the U.S. as the location of major German munitions plants during World War II and scene of the war crimes trials which followed the conflict. After passing by the Palace of Justice, where the trials were held, we stopped at the chilling, though never completed, Nazi Party Rally Grounds. 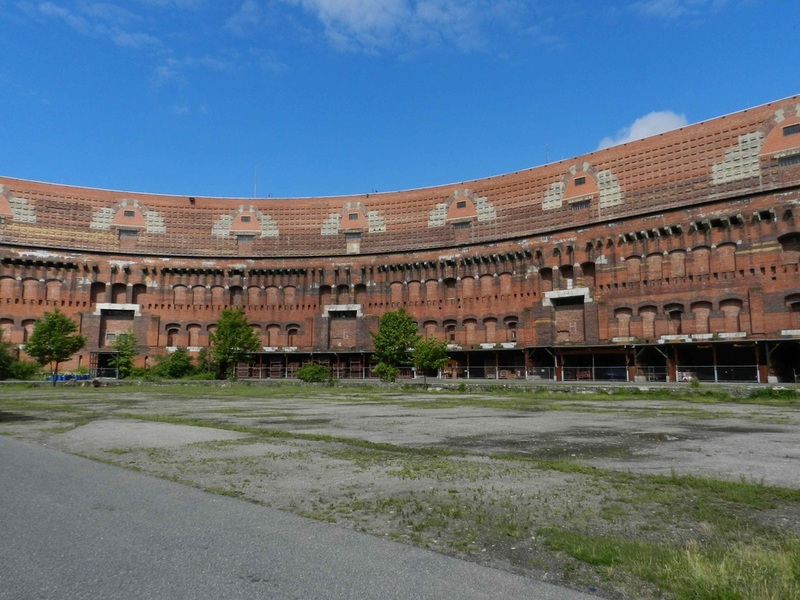 Roughly modeled after the Rome Coliseum, the immense structure now is a decaying reminder of the brutal Nazi era. In the adjoining Documentation Center, a permanent exhibit, “Fascination and Terror,” focuses on the causes and consequences of the Nazis’ rise to power. Though most remembered for its key role in the Nazi era, Nuremberg is also a major producer of beer, and over the years brewers had built tunnels under the city to store their wares. The Germans have a saying that “beer saved Nuremberg” because residents were able to retreat to those tunnels during heavy allied bombing. Reportedly only 1,800 civilians were killed there, many fewer than in other cities that experienced similarly heavy bombardment. our group was met by a local guide who took us on a panoramic tour of the city—the massive Prague Castle with its complex of palaces, museums, and St. Vitus Cathedral, seat of the Archbishop of Prague; Old Town, including the Old Town Hall and its “Astronomical Clock” that features an hourly “Walk of the Apostles,” and the Charles Bridge over the Vltava River in the center of the city. Our final day before flying home was unscheduled and we began by taking in the sights on a leisurely walk from our hotel to Republic Square, filled with craftsmen at work, surrounded by their wares. From there, we went to the Old Town Square where we toured a portion of the underground city before going behind the scenes to see the “Walk of the Apostles” up close and continuing to the top of the tower where we overlooked the city and met one of the buglers who play each hour after the apostles’ walk. 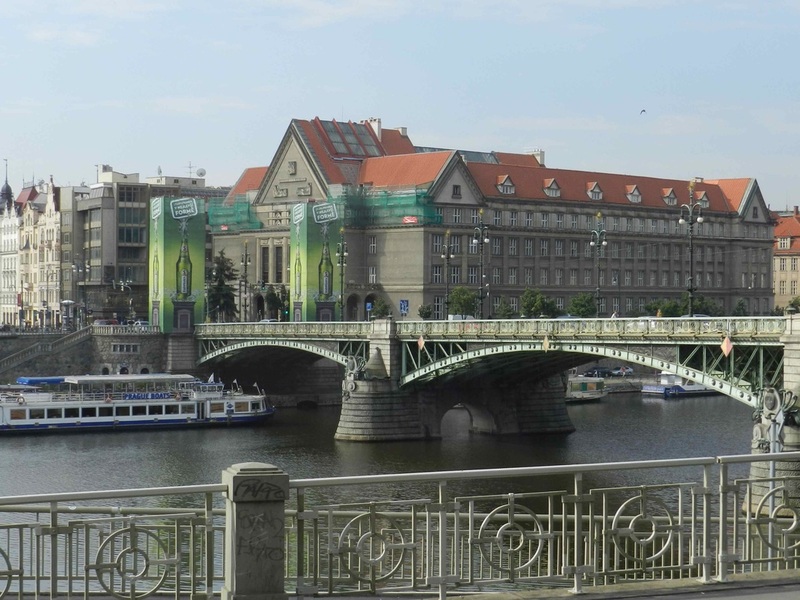 A bridge in Prague: The green ads on either side of the bridge struck me as incongruous on this very old structure. 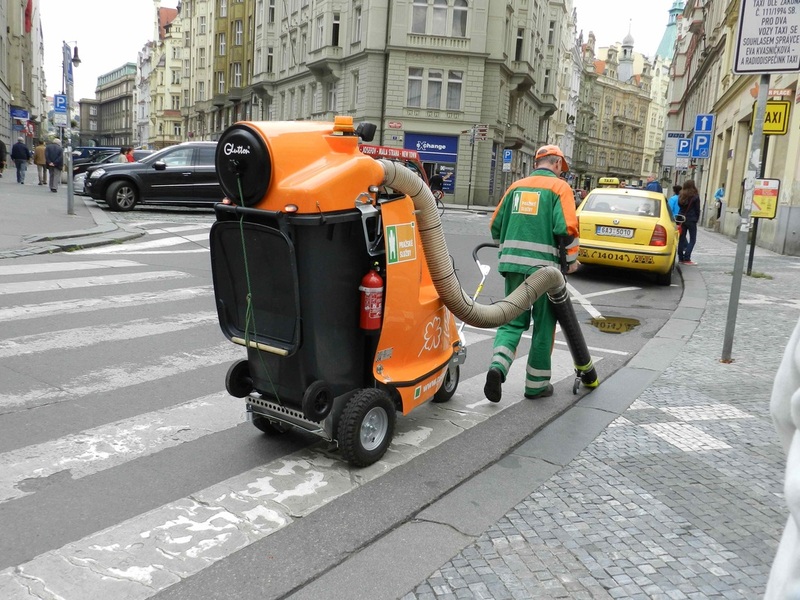 An industrious street sweeper in Prague: The city streets were immaculate. Our flights home were uneventful. However, retrieving our cars wasn’t. We had left them in a lot near the Columbus, Ohio, airport. All was well until Wanda and Lew, stopping at the exit, discovered they had no idea where they had put their entry ticket. A prolonged search (they were cheered on by Bob and me, of course) located the missing item. I paused in my writing just now to call and ask my sis where, in fact, she found it. There was a long pause. You guessed it: She couldn’t remember. on any Viking cruise, contact Marj via the "Contact Marj" form on the bottom left of the home page.